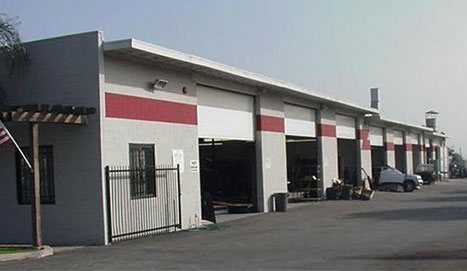 Montclair Auto Body is the largest family-owned collision repair facility in the Inland Empire serving Ontario, Montclair, Rancho Cucamonga, Upland, Pomona, Claremont, Chino, and San Bernardino County. After an accident, you can trust us to handle the entire insurance claim process, from making rental arrangements to providing an estimate to communicating with your insurance company. With Montclair Auto Body, you sign the paperwork and then you're done—until you get back behind the wheel. We'll make arrangements for your rental vehicle. We'll deliver your rental vehicle to you. We'll pick up your damaged vehicle at your residence. We'll make sure your estimate covers the damage to your vehicle. We'll restore your vehicle to pre-accident condition. At Montclair Auto Body, our goal is to get you back on the road as soon as possible, with as little headache as possible. Our business was established in 1979 by Joseph and Margaret Govea, lifelong residents of the Ontario-Montclair area. Our success and size are due to the quality of repairs and exceptional customer service we deliver on a daily basis. Whether you come to us to fix a small scratch or perform a bumper-to-bumper restoration, you can expect us to treat you with respect and honesty. Our technicians use quality replacement parts and will repair your vehicle according to manufacturer specifications. Whenever possible, we use environmentally safe products and recycle all waste. We work on American, European, and Asian vehicles, as well as big trucks, including Kenworth, Peterbilt, Mack, and Volvo. Regardless of what you drive or the repair you need, we will provide you with undivided attention and personalized service. You are not just a number at Montclair Auto Body. Many customers don't realize the size of our shop. Our facility spans nearly two acres, and we have three paint booths (two Downdraft and one Crossflow Truck Booth). We can compete with the corporate collision shops in the area in size, quality and service—including equipment and certifications. We're a Honda/Acura ProFirst Certified Facility, and we're a certfied auto body shop for Nissan/Infiniti, GM, and Ford as well. 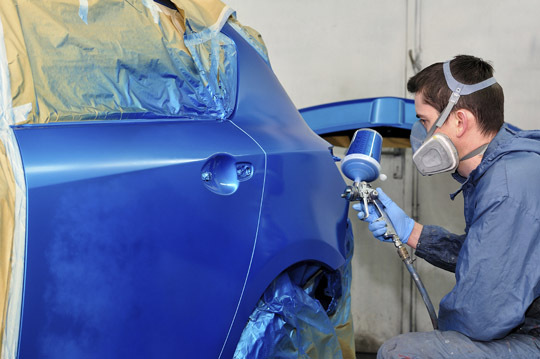 Montclair Auto Body works with all insurance companies, and is the preferred shop of many. Just bring us your estimate, and we'll make sure it covers the amount of repairs your vehicle needs. Then, we'll restore your car or truck to the way it was before the accident. Our family has lived in the Montclair-Ontario area our entire lives. We not only serve the community through our business but also by participating in many local organizations, such as Calvary Chapel Ministries, Ontario Chamber of Commerce, Ontario Hispanic Chamber of Commerce, Unidos Por La Musica Outreach, Ontario Christian Athletic Program, Montclair High Athletic Program, Chaffey High Athletic Program, and Montclair Golden Girls Softball just to name a few. Our shop is conveniently located two miles south of the 10 Freeway and one mile north of the 60 Freeway, enabling us to service all of the Inland Empire, including Ontario, Montclair, Claremont, Chino, Upland, Rancho Cucamonga, Pomona, Chino Hills, Glendora, and Mira Loma. If you've been involved in an accident or need any type of auto body repairs, give us a call today! Serving Ontario, Montclair, Claremont, Chino, Upland, Rancho Cucamonga, Pomona, Chino Hills, Glendora, and surrounding areas.